Today we got to see the first prototype images of the iPhone 7 Plus. 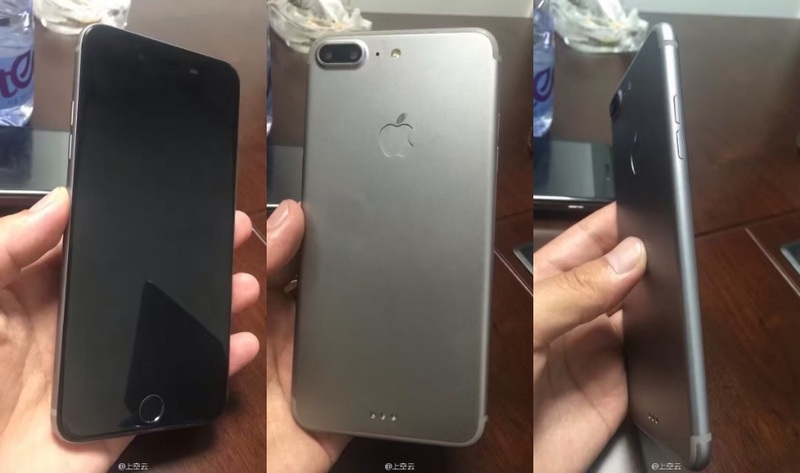 A Chinese Weibo user has shared several photos showing the alleged iPhone 7 Plus from different angles. The new leaked images of the iPhone 7 plus appears to have the same design to its predecessor the iPhone 6 and iPhone 6S, but it really looks like to have dual camera and a title bit of design tweaks. Let’s start with the front, were we can see the same Home button exactly like we get on the iPhone 6s. This means that the rumors of a touch-sensitive home button are incorrect and that the knob can simply be pressed physically. On the left you can see the usual volume controls without any mute button instead you will get a button on the other side to enable or disable the iPhone 7 Plus. The biggest differences between the iPhone 7 and iPhone 6S is the camera of the iPhone 7 plus, where on the upper left corner you can see a dual camera. According to earlier rumors the camera of the iPhone 7 plus would also have optical zoom and next to the camera you will also get a microphone and LED flash. In addition, the antenna lines on the iPhone 7 Plus are also underway. Where they were still horizontally across the back in the past two years, there are now visible only on the upper and lower edge of the rear. The last thing is the addition of the Smart Connector (the three contact points), which was introduced for the iPad Pro. This connection is used on the iPad Pro to attach accessories such as Smart Keyboard, and we suspect that the Smart Connector on the iPhone 7 Plus has the same goal. 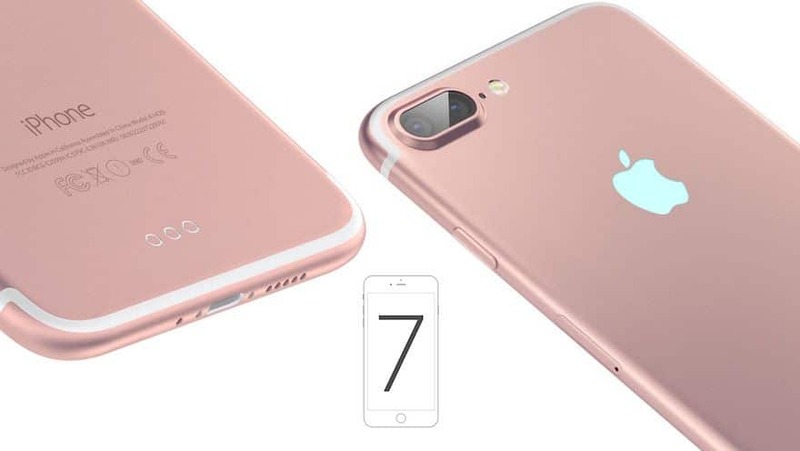 The iPhone 7 and iPhone 7 Plus will be announced at the annual Apple press event in September.